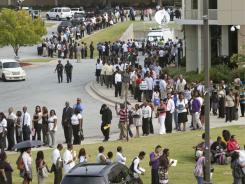 People wait in line during a job fair in August at Atlanta Technical College in Atlanta. The weak economy has driven median household income down, hitting poor people and minorities the hardest. 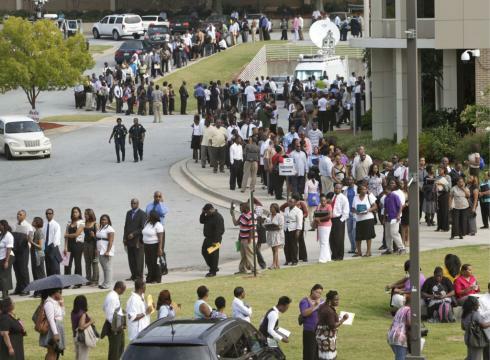 The median income for black households fell 3.6% to $32,206 last year. Kaiser 2011 RatesAffordable Health Insurance Plans.